She's The Mom: Let’s Keep Our Kids Healthy with Nutrawell! With school back in session, kids are more likely to get ill. Just recently, Athena and Brianna was admitted to the hospital, thus they have to miss school and Emergency Leave for me and Jaear. That's why we have to take extra effort to keep our kids healthy. This extra care will help them maintain their energy to perform in school and excel in their chosen passions. A great way to do that is by giving them the right Nutraceuticals every day. 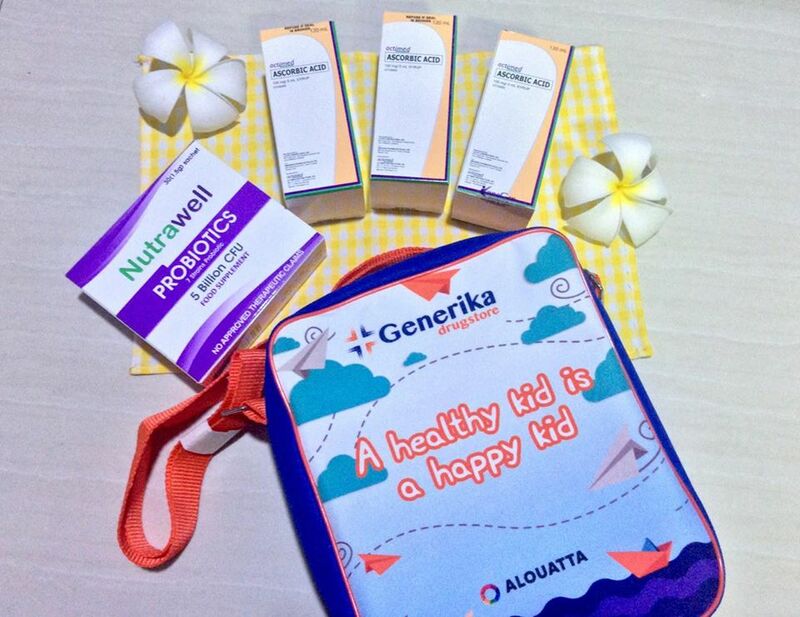 A week ago, Generika Drugstore sent me a wellness bag for the kids. It includes Nutrawell Probiotics and Actimed Ascorbic Acid. 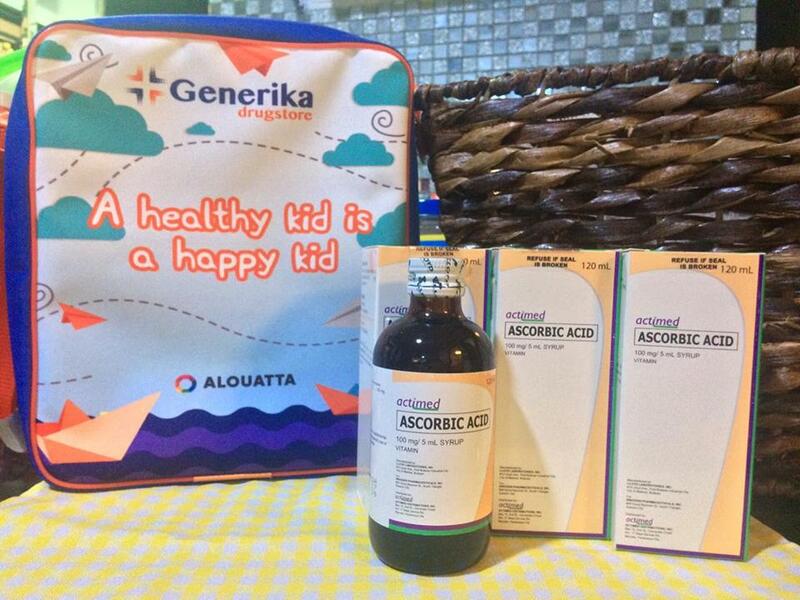 Exclusively available at any Generika Drugstore near you, these food supplements can help boost your kids’ wellness. 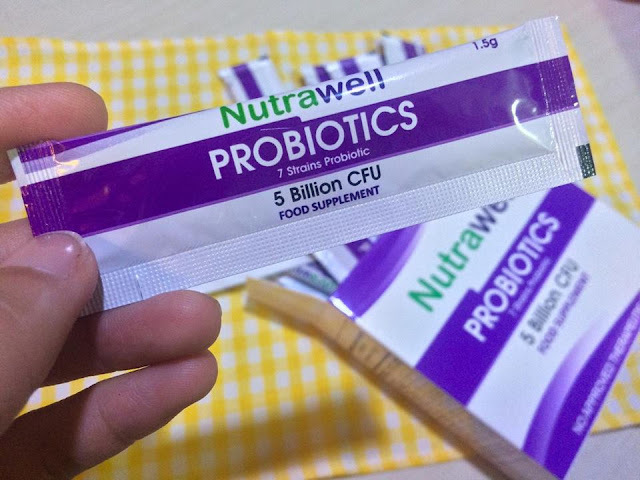 Nutrawell Probiotics for Kids contains 5 Billion Colony Forming Units (CFUs) of 7 safe and effective strains of active lactobacillus. A grape flavored powder mix with more strains compared to other probiotic brands, it can be mixed with your kid's favorite drink. With its fruity flavor, your kids can even take their daily dose straight from the sachet too. Regular doses will help restore the good bacteria in the digestive system, helping the body improve its defenses against disease. Visit a Generika Drugstore near you to discover safe, effective, and affordable medications and nutraceutical products. Starting this school year, give your kids the gift that lasts a lifetime – their good health! To learn more about Generika Drugstore, simply visit their official Facebook page at www.facebook.com/Generika.com.ph.